PUAHAHHA!! I have no idea what's jay doing. kekekek! I could NOT log in to our twitter via web. I have no idea why th password got changed. I am sure many of you heard th news. Our dear junsu father had pass away. 24th Jan at Central World from 13:00. If international Hottests are happen to be in Thailand at the time, don't forget to try to go to the events!! 2PM is releasing their first Japanese album REPUBLIC OF 2PM in Korea as well. The first Japanese album, which was released last November 30th and let the entire Japan filled with passion along with 2PM’s Arena Tour, is now passionately loved by the opinions saying “I can feel the new attraction point of 2PM”, “It’s finally released domestically” after its release in the morning of January 18th. REPUBLIC OF 2PM is the first official album of 2PM, who released 3 single albums in Japan and hit several records, contains the matured, and luxurious, sophistication. Also, one can listen to not only freshly attractive music, but also more rich and widened music of 2PM with Jun K’s self-written music as well as the Japanese version of 2PM’s hit songs consisted as 12 songs in total. REPUBLIC OF 2PM is available in online music service sites such as Melon, Dosirak, and Cyworld, etc. Singer Jay Park recently revealed his 2012 New Years message which was posted on his official website on youtube. On the video he gave his new years greetings and wished his fans well and he was asked what he would like to achieve this 2012 and he answered, "I hope I can start preparing for a new album soon, and if given the chance I want to have a concert this year". Jay Park also shared that he has been preparing for his first full length album since last year and preparations for the album are almost done. He asks his fans to wait for him and wait patiently and hopefully support his album release soon. He also gave a very cute smile charming the fans and wishes everyone a Happy new year. Meanwhile, if things to go well, Jay Park will be making his comeback early next month. Seattle native Jay Park managed to climb to the top of the K-pop scene as the charismatic leader of boy band 2PM. But when the young performer made some “anti-Korean” comments on his MySpace page and later allegedly confessed to some “severe personal mistake,” according to his record label, he found himself excised from the group and Korea. The singer was prepared to return to a life of obscurity, dancing with his old crew and taking a job at a tire shop in his hometown. But then, when Park, for fun, posted a YouTube video cover of B.o.B.’s “Nothin’ On You,” which shows him singing in his bathroom and momentarily flashing his well-documented six-pack abs, the video collected more than a million views in just one hour. Eventually it would reach 5 million hits, and then, his phone was ringing off the hook. Park insists, however, his is not an intentional comeback. “The only reason I went back [to Korea] was because my fans were like, ‘We want you back, we want you back,’” Park tells KoreAm’s Rebecca U. Cho in this month’s cover story. Call it whatever you want, but Park is coming at his fans—and hoping to attract new ones—with a movie he filmed with his dance crew and a new album to be released early this year. And, this time, as a now-solo artist, Park says he’s calling the shots. As you can see, my updates aren't that frequent. Sorry for not updating much and not updating th latest news/etc asap. I'm having school, and I might going to work soon (if I got my job by school sending me). Cause I am always RT-ing photos and latest news / etc there. Of course, I will still be updating our blog. 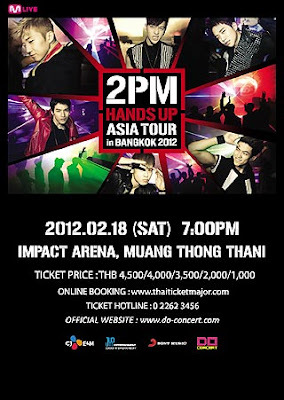 “2PM HANDS UP ASIA TOUR in HONG KONG 2012” will be on March 10th, 2012 (SAT) at AsiaWorld-Arena. The online ticket site will be opened on January 30th, 2012 in Hong Kong Ticketing site (www.hkticketing.com). Guess what? We have exclusive Jay Park autographed merchandise up for grabs! Send in your entries now!! SOURCE: Daum Media; TRANSLATOR: Lydia@JAYPARK.NETPLEASE DO NOT ADD/REMOVE CREDITS. YOU MAY ONLY TAKE OUT WITH CREDITS TO JAYPARK.NET. 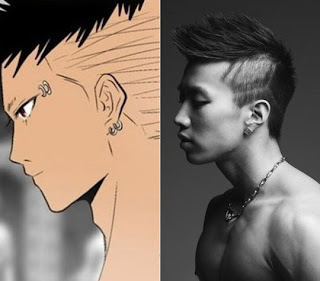 [Spot TV] Jay Park turns into Yang Soon-Mo, a character from the webtoon, "God of Bath"? Jay Park is getting attention by appearing on "God of Bath". (omit) "God of Bath" is a popular webtoon that is being published on one portal site. It takes place in a fictional public bathhouse named "Keum-Ja tang", and comically portrays the story of the son who wants to become the best bathhouse owner. The webtoon is gaining popularity especially due to unique characters like the protagonist, Huh Seh. Meanwhile, Jay Park shows a 100% synchronism with one of the characters, Yang Soon Mo. Yang Soon Mo is characterized by his cold expression with a strong mohawk hair and nice abs. But contrary to his tough looks, he has a gentle personality and cute sides. The character is receiving good criticism, with its personality that is identical to Jay Park as well. Meanwhile, Jay Park is in the center of popularity with the title track, "Star", after releasing his single album, New Breed Part 1, on December 28th. SOURCE: Nate ; TRANSLATOR: Lydia@JAYPARK.NETPLEASE DO NOT ADD/REMOVE CREDITS. YOU MAY ONLY TAKE OUT WITH CREDITS TO JAYPARK.NET. 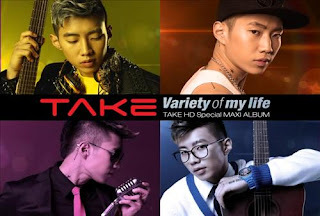 On January 10th, a staff affiliated with KT tech revealed that they will produce a single album, "Take HD Special Maxi Album - Take Variety of My Life" for Jay Park, to celebrate the release of their smartphone, TakeHD. This album will be released on February 7th as a digital single, after the release of Jay Park's first full-length album, New Breed, on February 1st. The digital album will be in four genres: dance, acoustic, electronic and R&B, and will have music videos. Lee Myung-Hun, the team leader of KT tech, commented, "The image of Jay Park that shows a variety of charms fits the variety of functions in the smartphone TakeHD. You will feel such charms through the Special Maxi Album." “My life in Korea is quite chaotic, unconscious (laugh.) There are things to do all the time, if there is no work on schedule, I need to go workout or practice. It’s not surprising how Nichkhun keeps his body fit and healthy even though he does not have much time to rest. He does not look too exhausted either. His face without make-up is clean and looks healthy. He has dark eyebrows and beautiful eyes. His eyes are believed to be samples to many aesthetic surgery clinics. He even said in an interview once that he thought his “eyes” are the best things on him. Nichkhun looks very much like Korean that it is hard to believe he is Thai. He also speaks Korean fluently. “Korean language is hard to learn. I started it from zero, from not knowing anything, anyone. At first they put me to a school but I am a person who hates going to those cramp schools. It is kind of boring to me so I asked for a teacher to teach me at the company for one on one studying instead. I began to improve my Korean when I started to work. I got to talk more with friends. The situations also forced me to speak. …I am not a picky person when it comes to living or eating. The cultures among Asian countries are not much different. [T/N] The writer talks about Khun’s life in the US, he was born in the US and went back to study in Grade 9. Khun was scouted in Los Angeles by JYP. “They asked me to talk at Starbucks shop near my house. I told them I did not prepare so I would rather just have a talk with them. …It ended up that I was deceived (laugh.) They set up camera in front of the shop and asked me to introduce myself, to dance and sing. I did not realize how I did those things. I was embarrassed but I did everything they told me to. … After I was qualified, it took me 2-3 months to make a decision to go to Korea. They sent contracts to my parents since I was under 18 at the time. It also took further 2-3 months to rewrite contracts until I was signed to the company. The company might see some charisma in him as it is not easy for Korean people to accept foreign artists. There was one person who encouraged Nichkhun to go to Korea. That person is his grandmother. … At the time Rain was very popular from the drama Full House which aired in Thailand and China. K-pop wave was also starting to take over. It was also a good opportunity for me not to push myself to hard in order to be known. When I was debut, K-pop was already a hit. …I thought K-pop was known from dramas before its music. …When people watch Korean dramas, they always talk how Korean actors are good at crying and girls love those kinds of warm images from the actors. Korean dramas are good at portraying those scenes so they became so popular. Then people started to check on Korean music as well. …For music industry, the training and the concepts of album, make-up, and hairstyles are deliberately done professionally. You need to be trained and practiced for 2-3 years before releasing an album. They will not allow any failure at all cost. Good well-trained bands are to be popular no matter what because they invest a lot. They will not let their money wasted for nothing. …For our band, it began from 15 trainees. They tried to match one person to another and tried on variety of concepts to see if it works. In the end, we became 2PM and 2AM. …In this band, I am not a vocalist. I am more like a mascot of the band. I am not the main performer but my image makes our band standing out in one way. ...I also have to practice for singing and dancing but they concentrate on building image on me to go along with the band. The concepts for performances on stage, for TV shows or commercial ads are all different. For example there are members who are put to work on acting. Nichkhun admits that not too long after 2PM debut, his band was popular to its prime. The band is in the level of superstar and Nichkhun said he was surprised and shocked. "I was shocked and surprised how I am standing where I am when the opportunity can happen to anybody. ...In the past, I never thought that I could perform anything in front of people. I was a shy boy and choked up when speaking in front of the classroom. I never expected to be able to stand in public singing and dancing in front of thousands of people. I was not confident." ...The most memorable moment for me is when we received Artist of the year award two years ago. It was such a meaningful award to any artists and we was chosen to get it that year. We was so delighted and ecstatic thinking that we made it." Nichkhun refers to the Artist of the Year and Best Male Group awards from one of significant music awards of Korea, MAMA Award (Mnet Asian Music Award) in 2009. Those awards were the best things that happen to him ever since he walked on this path. There are yet many challenges awaiting for him in the future. “About studying, I want to continue my study but I barely have time just to get some sleep (laugh.) I have to put it aside. I will go back to study afterward. … I would like to star in a movie. I want to do something about arts. I love taking photos and I love to draw picture when I was kid. I have not drawn anything for a while now and my hands are getting stiff. …I want to learn more piano lessons. Back when I was young, I learned piano for a couple of years and I did not really practice much when my parents kept telling me to do (laugh) because I was quite disobedient. Like most of the kids, I think, we regrettably quit it just like that. When I look back, I now realize that things my parents told me to do are very necessary. …In the future, I would love to continue working like this and try on acting. …Now, I am working in order to build up my status for my family in the future. As we have witnesses at the studio today, apart from several staff, Nichkhun’s families are also coming to see him including his grandmother whose age does not hold her back from seeing her beloved grandson. It is the only time they can spend time closely together. 6 Korean staff come with Nichkhun including personal makeup artist and hair stylist. Next job he was going to do is having concert in Budougan. He has a large number of fans in Japan too. After that, there is one particular job that is waiting for him. “It is a movie, filming in Thailand. It will begin filming next year [T/N 2012] so I should get to come back here more often. …I am still new in acting. I need to learn more. It is very different from standing on stage because we have practiced for hours and have been performing over hundreds of time. We just repeat the performance. But for acting…I still feel like it is not what I belong. I still feel uncomfortable to stand in front of the camera and act. I need to give it a try. It should be fun. …I was offered roles in Korean movies too but I did not have time. I told them I wanted to have my first film in Thailand because It was more comfortable to act and learn here. …I cannot compare my talents to him. But I look up to him to push myself to go further, like a challenge. “About helping flood victims, it was my mother who initiated it. She called me and asked me if I could get her 2PM stuff for charity auctions. …I told her I would help and I asked my group members for their helps. They were eager to help and gave shirts with their autographs for the auctions. It turned out that we raised a good sum of donations from those stuff. …My T-shirt was bid for 190,000 baht which shocked me when I heard the bid price. I was filming a CF in Thailand at the time of the auction sessions. There are fans who were waiting for me outside the studio. That night the auctions of 2PM items were taking place every hour. I came out to check on how it was going when I finished my work and my fans informed me the bid price like ‘We got 30,000 now, we got 50,000 now.’ They kept me updated. With full and tight schedule, Nichkhun has his own method to release his stress by thinking of people close to him. “I think of my family, my fans in Thailand and around the world who are supporting me. They want to see good things coming out of me. I have to keep up with good mental and physical health first in order to send my happiness forward to others. If we are sad, stressful or have bad mood inside, our actions will turn out fake or we cannot give our best to them. …I also look at the bright side thinking not many people can achieve what I got or can be where I am. I got opportunity to meet my idol when I entered the show biz (Rain) I got to take a picture with him. It is surreal. …I like Paulo Coelho, the writer. At first I followed his twitter which I did not expect anything in return but he also followed me back. I always retweet his words. …One day I sent tweet message to him saying there are many more things to learn in my life. He sent message back saying that he still has to learn too, there are more things to learn. I was so shocked. I was glad and surprised at the same time. …I like the vision of this writer. He always says that we need to live our life differently from what we do each day. If we just run straight ahead, though it is safe but it does not give you any difference. If we run from one side to another side, changing the way we perceive in life, we may learn new things and find out that we may like it. If we just run straight only we will never know what else we could find on the road sides. …He always writes things like this in his books; we need to learn new things. I really like his way of thinking in that. …I want to be good at living my life rather than being good at acting or singing. I mean I want to learn my way of life, my individual self. I would rather excel in living my own life. In the future, being good at singing, dancing will not help you much. But in order to be a good person, it is something we need to learn from people around you. I get to learn it from everything and everyone I have met. …My parents always tell me to turn crisis into opportunity because having crisis in life is much more fun than having a smooth life. My father always tells this to me that whenever we are hurt, in low spirit or exhausted, just turn those into positive thoughts." And here he goes back on taking photoshoot with wide smiles and with 100 percent of full spirit!!! In 2011, I went to see many concerts and shows. 124 in total. I picked 12 the most impressive concerts out of 124. Needless to say, there were other good concerts which I couldn't see, but I chose those from what I saw last year. I was so fascinated by the producer, J.Y.Park’s rendition. Each artist has such a high potential, and not only in singing. I enjoyed their collaboration stages and dance performances too. I felt like I was watching one of the best entertainment shows. To be honest, I only have heard 2PM and 2AM’s songs before the show, but I was so into the concert and the 3 and a half hours have gone so fast. “What’s coming next?” I simply enjoyed the whole show. 2PM’s big dance moves, catchy melody and singing, the staging prepared only for the arena’s stage. Everything was very impressive. Coolness, freshness, cuteness and strength. Each of the 6 boys has his own character and I loved them all. As you can see from the additional concerts, they are steadily gaining fans in Japan. I am sure, in 2012, they will go higher than what they are now.